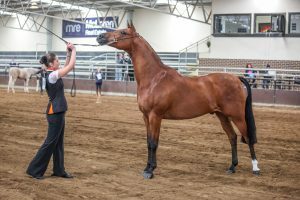 For the second year now, many of the Country’s top young Show competitors and their Arabians gathered at the wonderful facility at K Ranch in the picturesque Hunter Valley, New South Wales (NSW), to vie for the most prestigious of titles – that of Australian National Youth Champion. 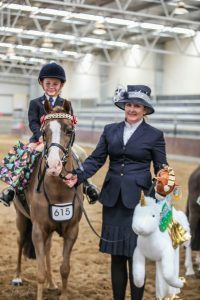 Between 31 August 31 and 2 September, children from ages three to seventeen years competed in a variety of led classes, saddle classes, and a full programme of sporting events. From the onset, what sets this show apart is the incredible positive buzz, energy and comradery between the young exhibitors, as anyone who was there would know. The enthusiasm and support that these youngsters offer each other is a large part of what makes the show so successful and enjoyable for all involved. Our two main judges this year were Cathy Padgen and Robyn Rogers, both from NSW. 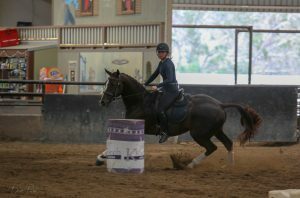 Cathy judged the dressage classes on the Friday, and then both ladies presided over the led Classes and saddle classes on the Saturday. 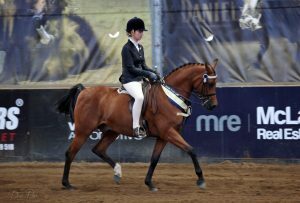 Deb Watson judged the popular working hunter classes as part of the Sunday sporting programme. 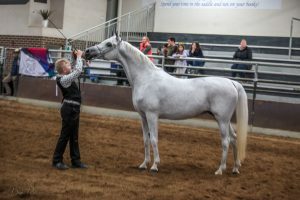 Entry numbers were up on last year, and it was interesting to note that the majority of exhibitors competed in all available led, saddle and sporting classes. 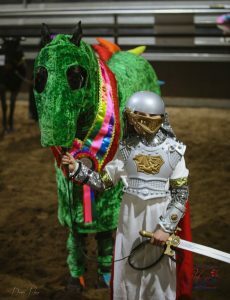 The programme was expanded this year, and included fancy dress classes in age groups, open freestyle to music as well as dressage tests up to Novice level. The children competed in their age groups over the three days: 5-7 years, 8-10 years, 11-12 years, 13-15 years, and 16-17 years. 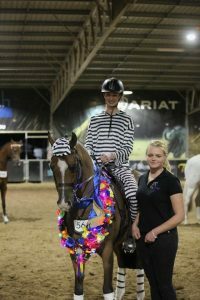 Each age group then had its own Hi Point award, taken from the saddle and sporting classes. 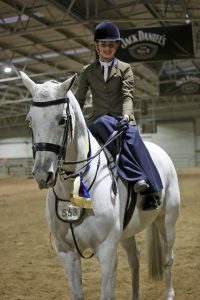 The Hi Point winners this year were, Alexia Thomas from New Zealand in the 5-7 years section with her borrowed pony Wyann Etched in Black (Owendale Conrad x Fairlight Acres Prediction); Shylah Marshal with Coleemyn Park Hy Flyer (Coleemyn Park Quicksand x Quamby Park Hylight) in the 8-10 year group; Makayla Hopwood with Wishlist (Ray of Light x Escarda Spozobella) in the 11-12 year group; Abbey Lonsdale with Elmridge Roxy (Woranora Tempest x Rafiqa) in the 13-15 year group; and Aloha Gladiator (Aloha Majestic King x Aloha Embrace) with Charlotte Phillips in the 16-17 year group. All were deserving winners who truly showed their versatility over the duration of the show. 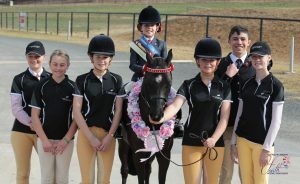 A welcome addition to the event this year were seven young riders who came across with their support crews from New Zealand. 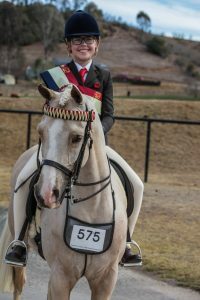 In the lead up to the event, Rachel Borysko spent time matching local horses and ponies to the New Zealand riders so that all had suitable mounts for the duration of the event. Amy Vujcich (16), Bella Vujcich (15), Baily Stanaway (15), Dominic Kupa (15), Lucy Norton-Collins (14), Mikayla Wildermoth (11), and Little Alexia Thomas (6), all had many successes at the event and made new friends – both two-legged and four. And also, the many studs, people and businesses who sponsored individual classes and donated prizes for our raffle and awards. Planning is already underway for next year’s event. K Ranch will once again host the show, booked for 4-6 October 2019. 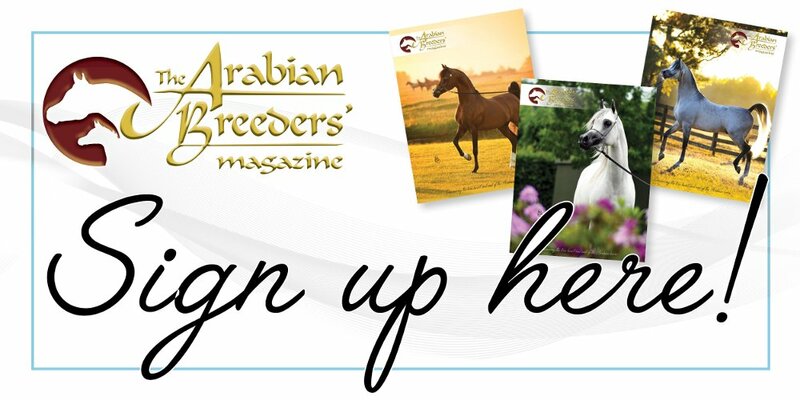 The organising committee are looking to once again enable this event to grow and develop further, so that it remains one of the most important fixtures on the Arabian horse community’s calendar.